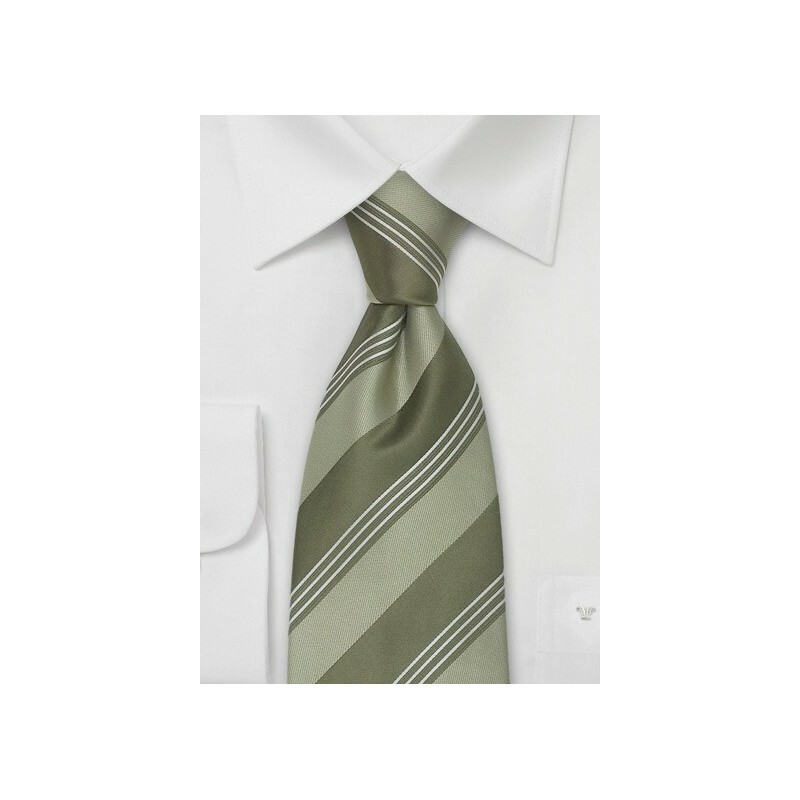 A stunning moss green necktie by renowned Necktie designer Cavallieri. 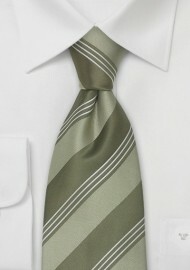 Two shades of green (moss green and sage green) are combined in one stunning looking striped necktie. Cavallieri Silk Ties are characterized by their modern-Italian designs. Cavallieri is most known for combining harmonizing colors with unique diagonal striping patterns. All Cavallieri ties are handcrafted from the finest silk fabric available and are a true piece of art. This extra long necktie measures 61" in length and is especially made for taller men. If you are 6’3” and /or have a larger collar size, chances are that extra long ties are right for you.